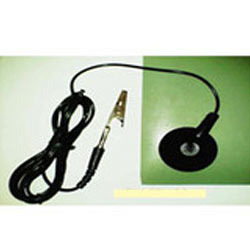 We are a leading manufacturer of ESD Cord & Heating Element. our team of experts manufactures the products in accordance with the requirements of the clients. 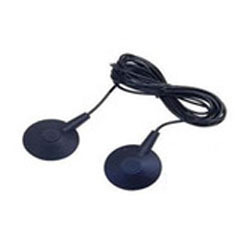 We are offering a wide range of ESD Ground Cords. Our skilled labors design our range in such a way that it fulfills the requirements of the clients in an efficient manne. It is required to make sure that all the ESD items used in ESD safe area are seamlessly grounded. We offer our Grounding Cardsat market leading rates. We are readily engaged in offering an unmatched range of ESD Grounding Connection Cords to our revered clients. Our offered product range are manufactured using with premium quality of material and available at industry leading price keeping in mind requirements our client. 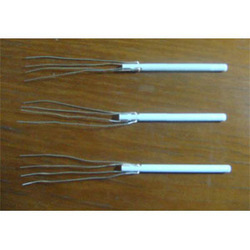 We are the leading supplier and trader of Soldering Iron Heating Element. 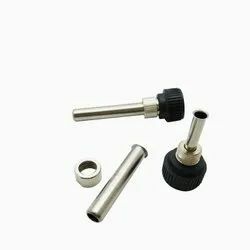 Soldering Iron is often used for installation, repair and limited production work in electronic assembly. Besides, we are offering our range at very convectional prices. Some soldering irons heat up and cool down in a few seconds, while others may take several minutes.